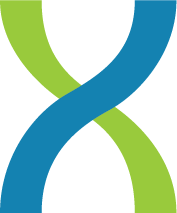 We are gearing up for the annual American Society of Human Genetics (ASHG) meeting next week in San Diego, and are especially excited to debut our new ApolloTM platform for multi-omic and clinical data science exploration, analysis, and discovery. ApolloTM provides translational researchers with a scalable cloud environment, flexible data models, intuitive analysis and visualization tools to simplify research workflows for R&D teams globally and dramatically improve the efficiency of research organizations. Visit DNAnexus in booth 622 to learn more about how to leverage our newApolloTM to inform decision making, save time, and maximize value at each step of the drug discovery process. Stop by our booth anytime during the conference, or email us to schedule a meeting with a member of our science team. Join us to learn how biopharma customer MedImmune and academic medical center, Baylor College of Medicine’s Human Genome Sequencing Center are leveraging massive volumes of biomedical data to gain better insights into biological, environmental, and behavioral factors that influence health. Lunch will be provided; RSVP to reserve your spot! Visualization Hour – Come Explore GWAS data in 3-D, using virtual reality! Human brains are wired for spatial reasoning, making virtual reality a potentially powerful way for scientists to achieve an intuitive understanding of data. To test VR on genomic data, we combined two iconic visualizations in genomics, the Manhattan plot and the circos plot, into a fully immersive data exploration experience called BigTop. Come explore the GWAS circus with us and learn about other exciting visualization projects at DNAnexus! Come demo the new DNAnexus ApolloTM and hear how biopharma customer MedImmune is using it to inform decision making, save time, and maximize value at each step of the drug discovery process. Come meet members of xVantage Group, a dedicated team with deep technical and scientific expertise, ready to create innovative and tailored solutions for customers and partners. From data ingestion to pipeline and software development, learn more about the broad range of services and customers xVantage is supporting.